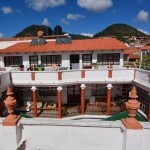 Built in the colonial era, our beautiful hostel is located in the heart of the city, just two blocks from the main plaza. We have the largest selection of dormitories and private rooms in Sucre, that have all the modern amenities in a historical building which is filled with character and charm. We have a great restaurant where you can enjoy Bolivian and international dishes and our bar is a great place to make new friends or to catch up with old ones that you have met on the road. We are not a party hostel but we know how to party especially Friday and Sunday when our onsite club opens. We are a traveller’s hostel run by travellers. Our themed evenings offer a great variety of foods and activities that not only provide the best in entertainment but help our travellers to stay on budget. Our Bolivian culture night – each Friday - is unique to us with a great free show from the dancers of the "Sucre Ballet" whose spectacular offers a wonderful insight into the classical dances of Bolivia. 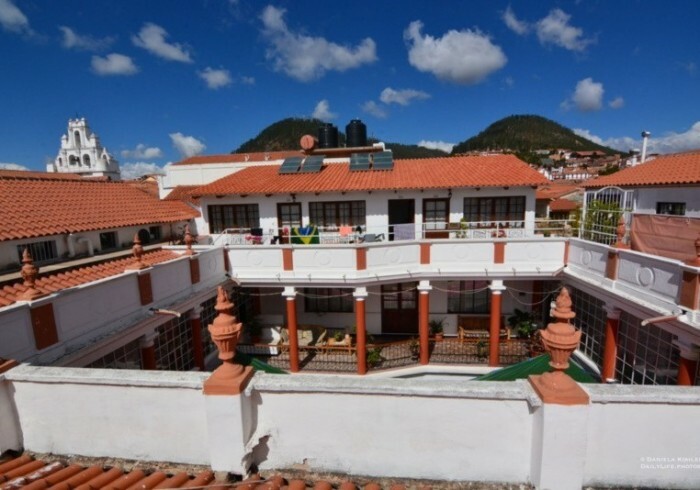 Sucre is known as one of the best places in South America to study Spanish and our “Sucre Spanish School” is the finest here and less than two blocks from our hostel. Our Secret "ChillOut" Garden is the best place to sit and relax or to study some Spanish in the heart of the city but away from the hustle and bustle of daily life. Our "City walking Tour" will show to you the best places in this beautiful city before you venture out on your own.